Beginning April 2, Star Trek Online will launch Delta Recruitment, a new in-game event set to prepare the world for the upcoming Iconian War that will give both novice and veteran players the opportunity to earn unique rewards. The Iconians are an ancient race that threats to reassert their rule over the galaxy. 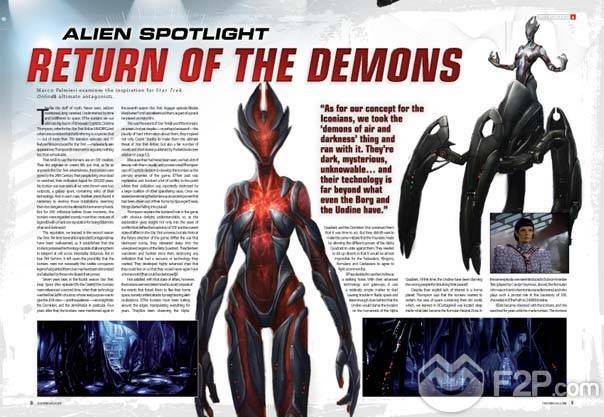 The Delta Recruitment event unveils the invasion of this race, an arc-story experience that will span several months. New captains created during the Delta Recruitment event will earn progression based rewards including gear, week long events, upgrade materials, and valuable numerics through both personal and community-wide goals. Existing players will receive a new character slot to create a Delta Recruit and each of the progression based rewards comes with an account-wide unlock variant in order to keep their alternate characters up to speed while leveling a new recruit.